All-Russian Research Institute of Forest Genetics, Breeding and Biotechnology delegation participated in the activities dedicated to the 100th anniversary of Voronezh forest school. On 1-5 of October 2018, All-Russian Research Institute of Forest Genetics, Breeding and Biotechnology delegation headed by the Director Oleg Korchagin participated in the activities dedicated to the 100th anniversary of the Voronezh forest school. Director of the All-Russian Research Institute of Forest Genetics, Breeding and Biotechnology Oleg Korchagin welcomes the staff and guests of Voronezh State University of Forestry and Technology at the opening ceremony. On October 1, director of the Institute Oleg Korchagin delivered a welcome speech at the opening ceremony at Voronezh State University of Forestry and Technology. He started off by expressing his appreciation to the long-service forestry specialists. Director of All-Russian Research Institute of Forest Genetics, Breeding and Biotechnology Oleg Korchagin presents the Principal of Voronezh State University of Forestry and Technology Mikhail Drapaluk with a certificate of appreciation. Oleg Korchagin also presented the Principal of Voronezh State University of Forestry and Technology Mikhail Drapaluk and the Head of the Forest Department Anna Tsaralunga with certificates of appreciation. At the end of his speech Oleg Korchagin presented his gift to the University – a young plant of elite Serbian spruce. Later together with principals of higher education institutions of Voronezh he planted the gifted spruce in the University’s arboretum. The young plant of elite Serbian spruce gifted to Voronezh State University of Forestry and Technology by All-Russian Research Institute of Forest Genetics, Breeding and Biotechnology was planted by the Principal of the University Mikhail Drapaluk and Director of the Institute Oleg Korchagin in the arboretum. On October 4, the Director of the Institute made a welcoming speech at the opening of the anniversary conference dedicated to the 100th anniversary of the Voronezh forest school. Also on October 4, an exhibition of achievements in forest science was opened. All-Russian Research Institute of Forest Genetics, Breeding and Biotechnology presented its exposition. The exhibition was attended by a number of officials and guests of the event among which: Deputy Head of Federal Forestry Agency Elena Komar, Chairman of the Voronezh regional Duma Vladimir Netesov, Deputy Chairman of the Government of Voronezh Region Viktor Logvinov, Principal of Voronezh State University of Forestry and Technology Mikhail Drapaluk, Head of Department of Forest Management and Forest Regeneration of the Federal Forestry Agency Mikhail Doronin, Head of the Department of Forestry in the Central Federal district Alexey Chernyshov, Head of the Department of Forestry in the Volga Federal district Alexander Ornatsky. 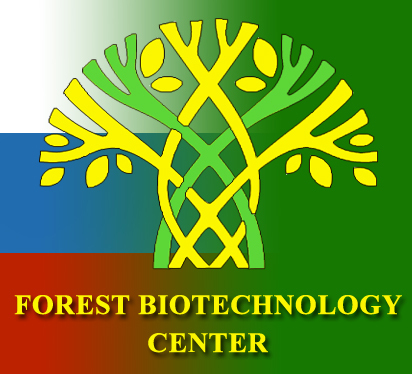 While presenting the Institute’s exposition Oleg Korchagin provided an overview of recent advances in forest genetics, breeding and biotechnology made by the scientists of the Institute. Oleg Korchagin also was interviewed for Vesti Voronezh, in the interview he reported on the achievements of All-Russian Research Institute of Forest Genetics, Breeding and Biotechnology (http://vestivrn.ru/news/2018/10/04/v-lesotekhnicheskom-universitete-otmechayut-yubilei-voronezhskoi-lesnoi-shkoly/). The exposition of All-Russian Research Institute of Forest Genetics, Breeding and Biotechnology. The Federal Forestry Agency delegation at the Institute’s exposition. Deputy Head of Federal Forestry Agency Elena Komar at the Institute’s exposition. 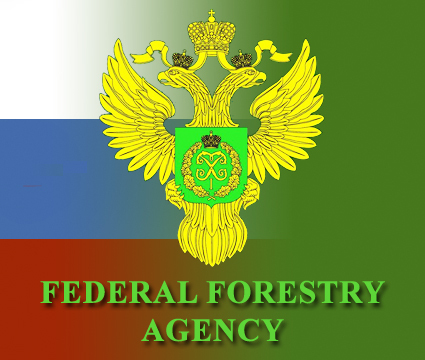 On October 5, the Director of All-Russian Research Institute of Forest Genetics, Breeding and Biotechnology took part in the awards ceremony to honor winners of a forestry-oriented multidiscipline competition. The Director of the Institute congratulated the winners and wished them success in their professional life. The Director of the Institute presents the awards to the winners of a forestry-oriented multidiscipline competition. 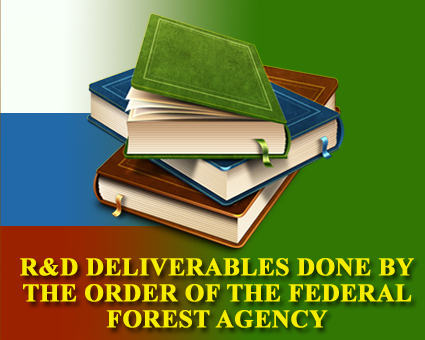 The Director of the Institute congratulates the winners of a forestry-oriented multidiscipline competition. The winners of a forestry-oriented multidiscipline competition. The participants of the 100th anniversary of the Voronezh forest school.